Puppeteer absolutely despises animatronics. To him, a machine's shoddy imitation of movement and life is a mockery to the true art of puppetry! If he ever went to a Chuck E. Cheese's or other establishments of the like, he'd demolish all the robots on stage if no one stopped him. Decker will do absolutely anything for a Klondike bar. It may be an icy confection from a long times past, but it holds more value than life itself to him. When he was younger and more spry, higher ups in the bureau would try to get him to do under the table tasks through bribes. The only times he would ever accept to do such a thing was when Klondike bars were on the line. D a d will go full on yandere sim if you abandon your kids, assuming he knows who you are. 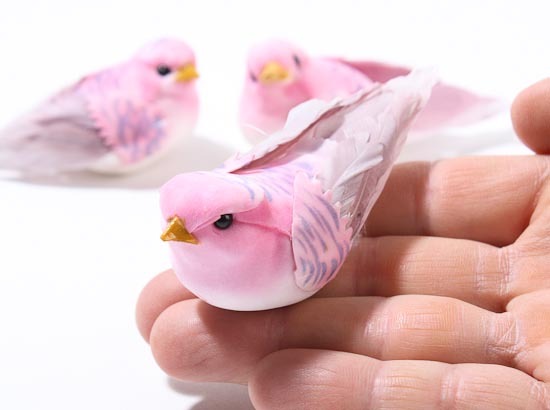 Zara would lose her mind if someone took her to the section of a craft store where they sell the craft birds (like these), immediately wanting to buy a bunch and make one big nest for them to show to Flye. Marcato probably really hates flowers after what happened to his eye, to the point that seeing an orchid of flowers will make him really angry and want to destroy it and tear it apart regardless who sent them to him.